• Instead of the above questions, maybe you just want to ramble on about something else pertaining to books — let’s hear it then! Let’s see here…I think I’m going to opt for the bookish rant option. 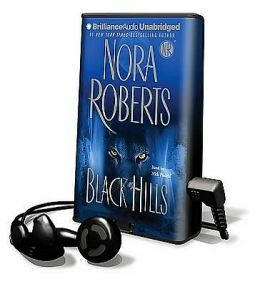 The narrator for Nora Roberts’ Black Hills was AWFUL! Considering that the story was excruciatingly long and tedious, it’s a wonder how I managed to power through the entire thing. But hey, audiobooks are expensive and I hate wasting a monthly Audible credit. Here’s the thing: Dudes should not narrate sappy romance books, mainly because they sound like drunken drag queens with their nasally high-pitched “female voices.” I just couldn’t take the main character seriously because he made her sound RIDICULOUS! I’m not saying that I don’t like male narrators. In fact, they’re excellent for any genre other than romance. Have you ever heard a book narrated by Neil Gaimen? Incredible! Oh and I also adore Jim Frangione, the narrator for Spencer Quinn’s Chet and Bernie Mysteries. He does an excellent job capturing Chet’s happy-go-lucky dog voice! So there’s my bookish rant. Sorry to sound like a crusty curmudgeon. Next time I promise to choose a much more chipper topic! 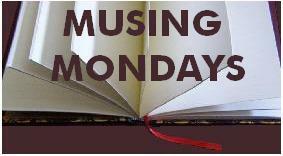 Posted on August 26, 2013 by Bubble Bubble Books and Trouble •	This entry was posted in Features, Musing Mondays and tagged audiobook narrators, Black Hills, Black Hills by Nora Roberts, Monday book meme, Musing Mondays, Nora Roberts. Bookmark the permalink. Oh no! Bad narrators are the worst. There are a few men, like Simon Vance, who I think can do men’s and women’s voices as well, but a lot of men really do just sounds out of breath when trying to sound like a woman! Agreed! Only a rare few can do a woman’s voice without sounding idiotic. I’ll have to check out Simon Vance’s audiobooks! Thanks for the comment! Audiobooks are kind of a mixed bag. If you get a crummy narrator, forget about it!